To summarize, the law of demand describes the behavior of buyers. In general, people buy more of a good when its price is low than when its price is high. 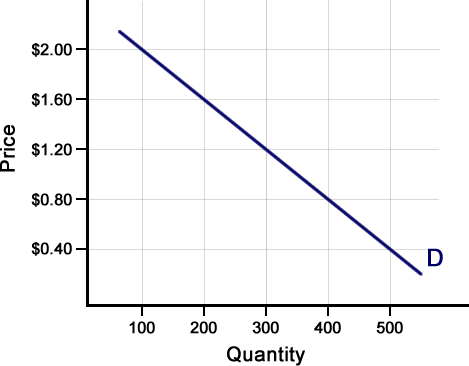 When this relationship between prices and quantities is graphed, the result is a demand curve. A change in price results in movement along the demand curve from one point to another and is called a change in the quantity demanded. When other factors in the market change, the demand curve shifts to the left or the right. We call this a change in demand. Of course, demand is only one of the two forces that make up a market. Supply tells the rest of the story. To learn about supply, take the Supply short course on EconLowdown.